The handy size of the Small Combo Pad ensures that this product is an essential on anyone's desktop! 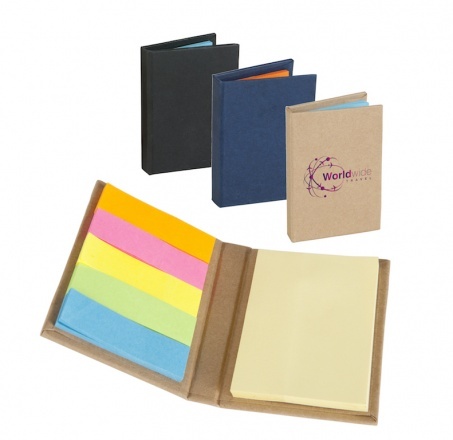 Its hardback cover contains page tags in five bright colours and a set of sticky notes. Now available in an extended range of colours! Full colour print available on white cover only.